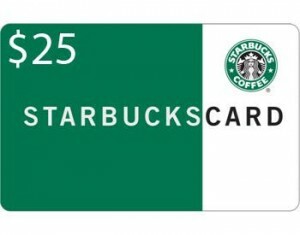 I will be giving away a $25 Starbucks gift card to one lucky reader! Open to US Residents only. Must be 18+ (or have parent's permission) to enter. Good luck to everyone! Be sure to check out the other blogs for my great prizes & chances to win! Awesome giveaway Meagan! I love Starbucks! sorry, i clicked the box to follow on google friend connect, but im getting an error, feel free to void that entry for me.